I received an advanced review copy of this title from Askashic Books through Edelweiss. Merryn Huntley is prone to anxiety attacks, has constant headaches, and hasn’t slept well for years. When the police knock on the door at her Dallas home and inform her that her husband Beau has died in a car accident, Merryn feels nothing but relief. She has been married to Beau for over ten years and he was always disconnected from and disinterested in his wife and their nine year old daughter, Tenney. In fact, when Beau crashed his car, a local waitress with whom he was having yet another affair was also in the car. Merryn packs up her daughter and immediately flees to San Miguel, Mexico where her mother has a plush home with fabulous views. One of the greatest strengths of the book are the descriptions of San Miguel’s intense, blazing sun, its dusty streets and its markets full of local people and tourists. But when Merryn gets to Mexico, comfort is the last thing she gets from her mother. Merryn’s mother, whom they call Bibi, drinks too much, gossips about her so-called friends, and belittles Merryn every chance she gets. Throughout the book Merryn struggles to deal with her strained relationship with her mother. Bibi is not a likeable character and the degrading words she constantly hurls at her daughter makes us glad that she comes to a tragic end. While Merryn is in San Miguel, she also has to deal with constant calls from the FBI. It seems that Beau was making himself rich by laundering enormous sums of money for terrorists. Merryn had nothing to do with her husband’s business and she is very worried that she will not be able to convince the feds that she is innocent. Merryn is already a nervous person but with her mother’s constant berating, the circumstances of her husband’s death and the FBI breathing down her neck she is at her breaking point. To complicate her life even further, Merryn also meets an American doctor in Mexico that she is instantly drawn to. But Dr. Fuller has a reputation for sleeping with wealthy American widows in order to raise money for his health clinic. On the one hand his sexual promiscuity disgusts her, but on the other hand she is very attracted to him, especially since he is so kind to her daughter Tenney. The best characters in the book are Tenney who is a chess prodigy and her stray dog, Sophia. Tenney and Sophia seem to possess the strength that Merryn lacks and in the end Merryn makes the right decisions because she realizes that she has to be strong for her daughter. 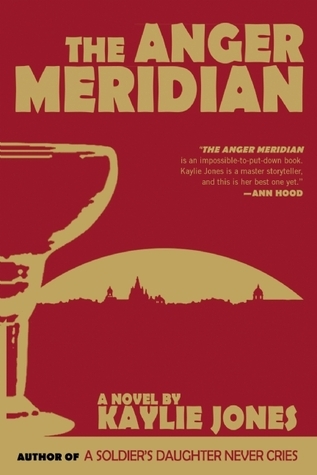 THE ANGER MERIDIAN is a fun and quick summer read with an interesting and complex plot. Takes this one to the beach for a good end-of-the-summer read. Kaylie was born in Paris, France and attended French schools until she returned with her family to the U.S. in 1974. Her father was the novelist James Jones. Kaylie began to study Russian as her third language at age 8, and continued to study the language and literature through her four undergraduate years at Wesleyan University and her two years at Columbia University’s School of the Arts, where she received her MFA in Writing. Kylie Jones has published six books, the most recent a memoir, Lies My Mother Never Told Me. 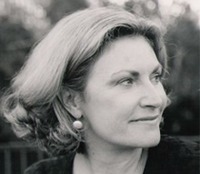 Her novel A Soldier’s Daughter Never Cries was adapted as a Merchant Ivory film in 1998. It is always nice to mix in a light summer read here and there!